Gurdeep is responsible for attending to the front desk and assisting our dentists. She is friendly, respectful, honest, and loves to help others. What she enjoys most about her profession is meeting new people and becoming a part of their lives. 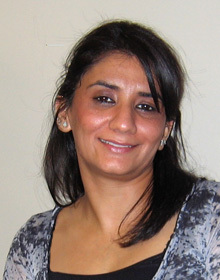 Gurdeep has lived in Milton City since 2005. She is married to Varinder and has three children: Gurleen, Aishley, and Rajan. Gurdeep enjoys spending her free time with family and friends. Her kids also keep her busy with sports and activities. 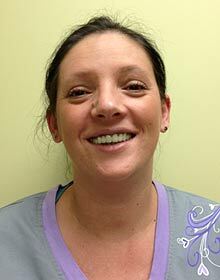 Nancy’s duties include assisting our dentists in all aspects of treatment and receptionist duties. Her favorite part of her job is getting to interact with our patients and build relationships with them while tending to their oral health. She appreciates our doctors’ easygoing and friendly attitudes, and has great respect for them both. Outside the office, Nancy has two children and a dog named Gijitt. As a family, they enjoy spending time together cycling or just sitting back and enjoying a movie while munching on popcorn. Swimming, cycling, dancing, and meditating are ways Nancy releases stress. 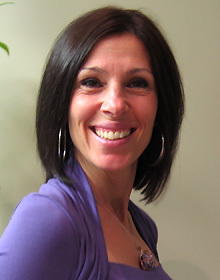 She is also a Reiki practitioner and likes to help others achieve mind, body, and spirit wellness through energy healing. Georgiana assists Drs. Shieh and Khan with many of our patients' procedures, providing gentle care before, during, and after their dental treatment. She also helps out in the front office when needed and educates patients about maintaining good oral health. Georgiana is married to her husband, Kamran, and they have a young son named Raheem. In her spare time, Georgiana enjoys travelling, reading, going to the cinema, learning new things, and socializing with friends and family.